Capture The Best Of Both Worlds? 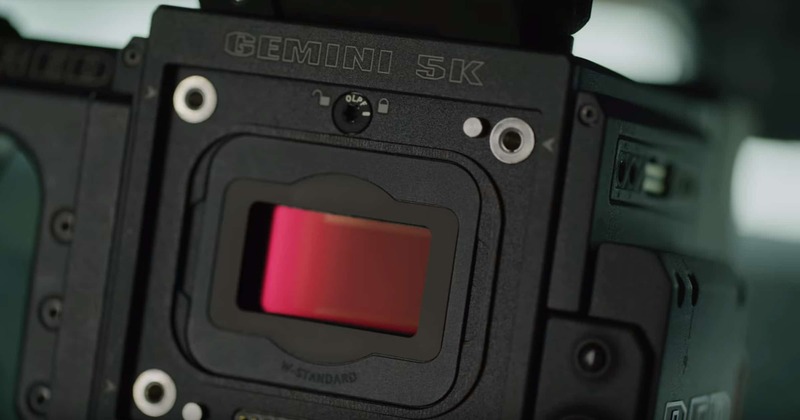 RED’s Gemini 5K sensor has been out for a few months now, though it’s still not yet readily available; waiting lists still exist out there. The response to RED’s latest “weapon” in their arsenal has been far greater than they had expected. In fact, you could expect to wait roughly 2-6 weeks if you were to purchase this now (Nov 2018), whether through a dealer like us or direct with RED. Their pitch/slogan for the Gem’s release was/is “Capture the Best of Both Worlds,”but for argument’s sake, let’s review some of RED’s specs and claims and see if it holds up to my weekend excursion with my trusty Zeiss 35mm PL CP.2 lens. Those specs alone are hard to ignore. Find me a camera just under $20k — technically, though, plan on an additional $4-6k for needed accessories to just be able to press the record button — that’ll do 5K resolution up to 96fps on a S35 sensor AND allow 4K proxies in ProRes/ DNx all done internally …..case in point. So even if the Gemini didn’t live up to being a “vampire” and love being in the shadows, it still would put up a great image with great resolution and framerate options and not turn to stone when exposed to the daylight (sorry, I couldn’t resist). The Red Gemini is very similar to its older brothers, DSMC2 Helium 8K (previously known as Epic W) and the DSMC2 Monstro FF 8K (previously known as the Weapon 8K Monstro), in that they’re all a S35 sensor, offer interchangeable lens mounts, and offer the same codecs as well as stops of dynamic range (DR). However, the Gemini is 5K in resolution instead of 8K, but adds the dual sensitivity modes providing you the “best of both worlds.” So I had to ask myself, “If it’s the same DR, how come such the greater performance in low light?” They basically shifted the the DR down roughly by 2 stops to help keep your shadows clean. Also, the improved processing preserves some of the highlights too, compared to the Scarlet. In the lightbulb example, we can see how much detail is preserved when compared to Scarlet’s Dragon sensor. The Gemini isn’t the first camera to market, of course, that has dual native ISO’s. 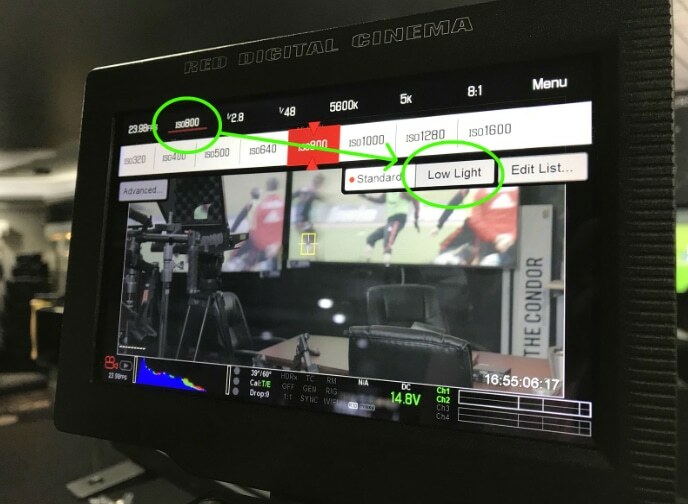 Though because of Redcode (R3D) and its raw nature, I’ve never seen RED actually state the “native” ISO of any DSMC brain because of the versatility that raw codecs can provide. In fact, they’ll advise to expose just under the “goal posts”…no different here. So they call it “dual sensitivity” and not “dual native ISO”. And again, while it’s not the first camera with this sensitivity adjustment…for the money, its performance is one that turns heads! Now for overall image quality and resolution, the 8K Helium or Monstro will still win…unless of course it’s a war taking place on a horribly lit battlefield. For anamorphic lens-lovers, if you’re debating about whether to go a Gemini or Scarlet W route, the Gemini seems to cater better to these wider lenses since its vertical pixel count is 300 pixels taller. And while the little brother Scarlet W is the same resolution as the Gemini, the Gemini offers a larger FOV and at higher frame rates. But enough about what RED says it’ll do, let’s take a peek. What I really love about the Gemini is how seamlessly it can switch from standard to low-light mode; literally two touches on their touch screen. Simply touch ISO, then select Low Light and you’re rollin’. 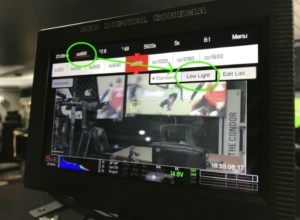 And when working in post it’s easily identifiable: “LL” shows up on the main image screen next to the ISO adjustment on the right side of REDCine-X, and also as “Low Light” in the “Metadata” tab. As a tip, keep in mind when shooting in Low Light mode that they mean what they say….it’s meant for low light! And now you’re probably thinking, “but it’s ok, I’m shooting in R3D and it’s got enough latitude to just fix the exposure in post”….wrong. 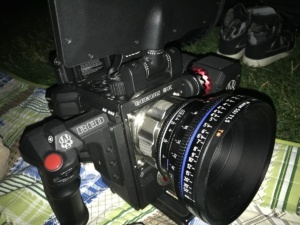 While R3D allows the ability to adjust ISO in post, it’s important to note that it’s not a simple ISO or aperture adjustment. 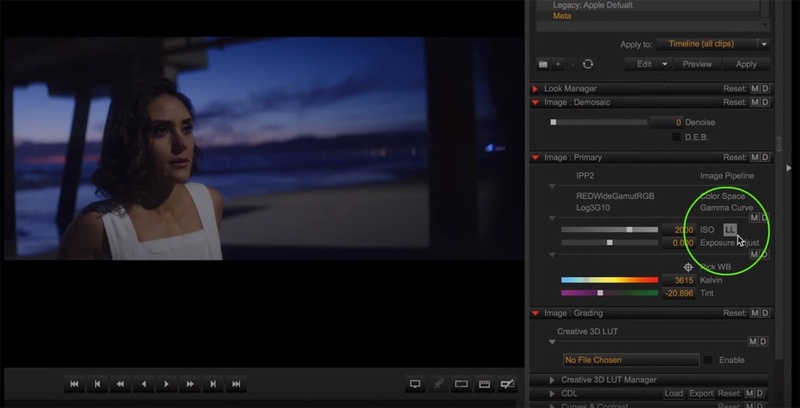 Switching between Standard and Low Light is completely changing the way light is captured. There was even a moment when I was shooting in LL mode and forgot. So as I’m recording my son rolling down a grassy hill, I notice that I’m lacking in depth. Well, at that moment I then realized it was because my aperture was closed 4-5 stops. Not a big deal right? Just open it back up again. Except that when I did, it was overexposed, even though the sun had already set! Let me repeat that, I was overexposed after a significant amount of time beyond sunset! And I was shooting only at an ISO of 1600! So how good is LL mode? Let me answer that with another question….how often have you been on a shoot and have needed to close your aperture 4-5 stops AFTER the sun has already been set for about 30 min? Checkout this second video to see what I’m talking about. Closing thoughts….in a nutshell, this camera sees better in low light than even your eyes do (or an iPhone for that matter). So for today’s market the Gemini is well worth the money and priced, I feel, right-on-the-nose. As a current authorized RED Dealer (and the only one in Utah), I’m happy to say it will be available soon from TVS Pro, if not already, by the time of this writing. 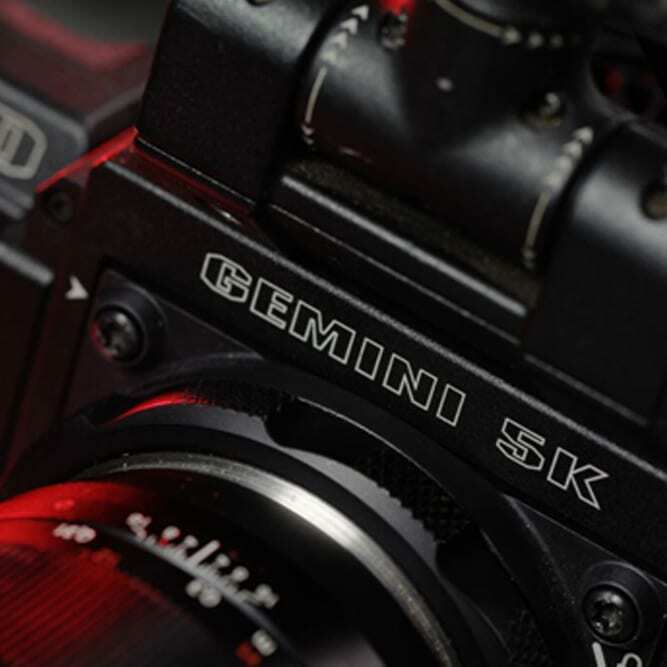 And while there still is no such thing as a ”one size fits all” for a camera, if you’re looking for a raw codec ecosystem then RED’s new Gemini 5K is proving to the world that we truly can have the best of both worlds. This entry was posted in Digital Cinematography, Pro Cameras and tagged DSMC2, gemini 5k, Gemini 5K sensor, gemini sensor, red gemini.